Swift SMS Longcode™ connects business apps to SMS on a 10DLC (10 Digit Long Code). It works on all carriers and reaches where Shortcodes cannot. It’s a perfect solution for system traps, user authentications, journeyman systems, logistics and calendaring. 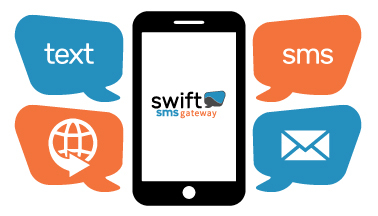 Swift SMS Longcode™ builds seamless global reach into your apps on a scalable platform. Dedicated numbers are available with services giving easy-to-integrate choices with a robust API platform, a variety of host languages, rest routines, libraries of cut-and-paste code, and support of carrier-grade SMPP connections. Dedicated Longcode does not support mass broadcasting. If you have questions on how 10DLC text services can be used in your business, call us. Strengthen your business communication with Swift SMS Longcode™ and go mobile now!